So it turns out Mr. Lovie can be pretty crafty, too. 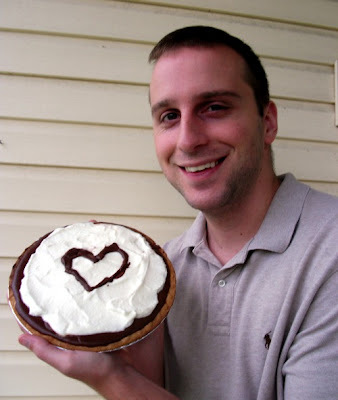 I present to you, "Lovie Pie." My birthday is tomorrow. This is my birthday pie made by my wonderful Matty boy. Confession: I hate icing. Especially birthday icing. Ick. I like cake, but I hate icing. 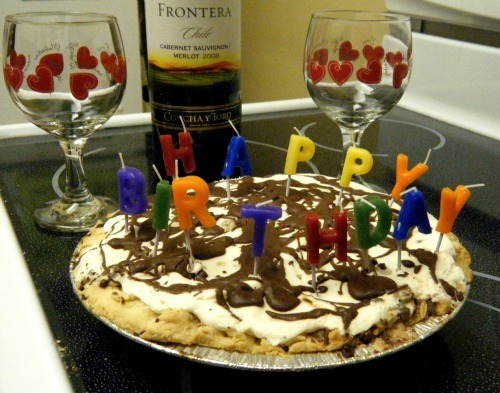 So for my birthday every year Matt makes me this awesome chocolate pie. The first year we were dating Matt bought me this delicious pie that I had mentioned that I loved from a local restaurant in Lexington. 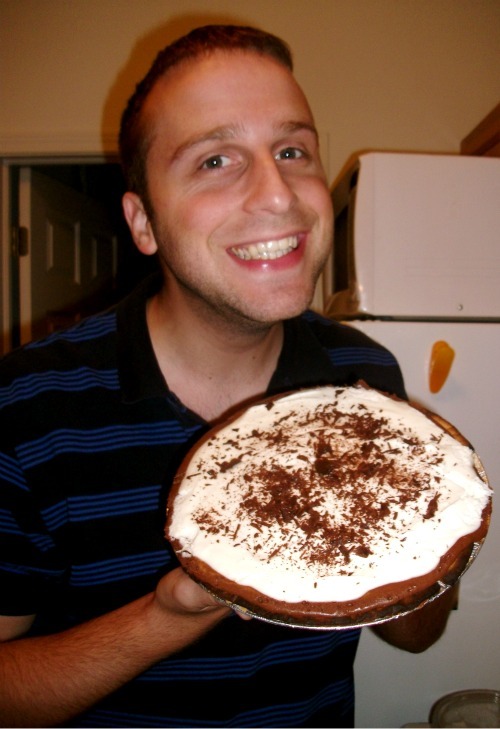 Here is the bought pie (I don't remember the name!) in 2009. Then last year he made his own. Lovie Pie was born in 2010. And here is this year's! How lucky am I?! 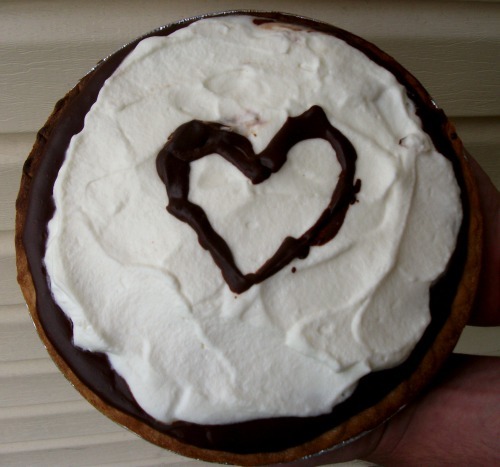 If you'd like to make your own awesome Lovie Pie to celebrate my birthday with me, you can find the recipe here! Be sure to stop by tomorrow for my actual birthday and an awesome GIVEAWAY! !